Why is Problem Solving an Important Competency? There are many definitions of problem solving - but at a basic level, it focuses on the ability to accurately assess a situation and arrive at a positive solution. Solving problems is an analytical skill that many employers look for when reviewing candidate application forms. This particular skill isn’t restricted to a single sector, industry or role, though employers in the engineering and legal industries in particular tend to look for proficiency. Consequently, questions about your problem-solving ability are commonplace in interviews. Strong problem-solving skills can be hugely beneficial for your career. In every sector, problems are inevitable and will arise in one form or another as you go about your day-to-day duties. 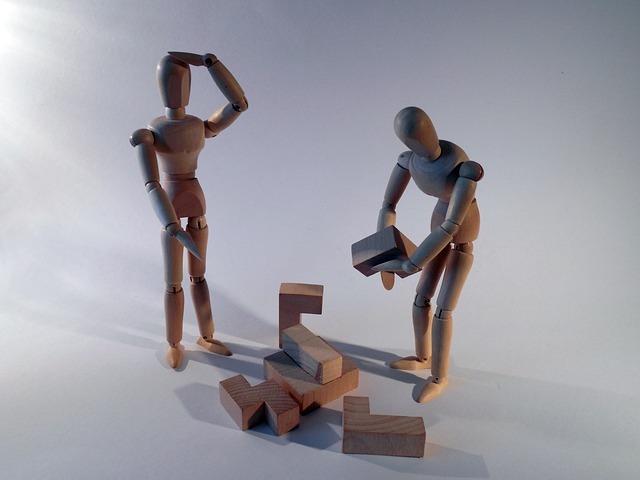 When problems do occur, employees are expected to use their initiative and develop suitable solutions to avoid the situation escalating into something more serious. What Kind of Problems Typically Arise in a Professional Context? There are many situations where problems could present themselves in the workplace, from a client concern through to assisting a technical team resolve a website or database error. The issues that you come across will often vary in complexity, with some situations requiring a simple solution and others demanding more thought and skill to overcome. Business managers will spend a lot of their time solving problems and consequently require their employees to be creative and intuitive when it comes to addressing them. Being confident in your approach is really important, and as you learn which processes are most effective to overcome obstacles, so your confidence will grow. Without suitable processes in place, your solutions may fail or they could even create additional problems. A good problem-solving process involves four fundamental stages: problem definition, devising alternatives, evaluating alternatives and then implementing the most viable solutions. Managers are looking for recruits who can be creative and intuitive when it comes to addressing business problems. What are Problem Solving Questions? Questions about problem solving will typically arise within a competency based interview and will require you to demonstrate your particular approach. Give me an example of a problem you have faced in the past, either as part of a team or as an individual. How did you solve the problem? What do you do when you can't solve a problem? Why are Employers Interested in Testing your Problem Solving Skills? Effective problem solving requires a combination of creative thinking and sound analytical skills. Employers look for hires who can demonstrate each of these skills in the workplace to deliver positive outcomes. Managers would far rather employ a member of staff who can take action to resolve a problem than someone who doesn't act and relies on someone else to think of a solution. Even if it isn't outlined as a requirement in a job description, many employers will still be evaluating your problem-solving ability throughout the application process. Effective problem solvers are those who can apply logic and imagination to make sense of the situation and develop a solution that works. Even if it doesn't prove as successful as you had hoped, resilience is important, so you can reassess the situation and try an alternative. What Form do Problem Solving Questions Take? If problem solving skills are an integral part of your role, it is likely that you will have to complete some kind of assessment during the application process. There are a number of forms that a problem solving question can take, but the majority of them will be scenario-based. As the employer wants to assess your problem solving skills, they may ask you to outline a situation where something went wrong and what happened. This could be an example of a time when you faced something unexpected, or you were approached by a client about a concern. Managers will often relate one or more questions to the role you are applying for. Sometimes this may take the form of a question about what the applicant would do if they had too much or too little work to complete. These types of questions usually begin with the recruiter asking how you would deal with a specific situation followed by some kind of challenge. For example, how you would deal with a colleague who was relying on you to do all of the work or falling short of a target. Although these aren't questions as such, they may be used by some recruiters to see how you handle unexpected changes. This could be rearranging the time of your interview or sending an email without attaching something important. Both of these - even if they are unintentional - could be used as a way to assess how you approach something that is unforeseen. You have been asked to schedule in a rush project but you cannot complete the piece of work you need to, since you require information from another colleague who is not currently available. How would you deal with the situation? The best option here would be to reassess the situation. Are there any other elements of the project that you can continue with until your colleague returns? If this isn't an option, you should explore every avenue to try and contact them or someone in their team who could help. You are working on a project and halfway through you realise that you have made a significant mistake that may require you to restart the project to resolve it. How would you approach this so you still met the deadline? Stop what you are doing and evaluate the mistake. Is it small enough to resolve without taking too much time? If so, resolve the mistake and move on. Alternatively, if there is no other option than to rework the project (which may impact on meeting the deadline), the first thing to do is notify your supervisor. You may need to reschedule your day or work longer to finish the project and meet the deadline. How would you deal with a customer who wasn't happy with your service, even though you haven't done anything wrong and it is the customer who has made the mistake? No matter how upset, abrupt or angry the customer is, it is up to the employee to make sure they are treated with respect. The best way to do this is to be attentive and show genuine concern for their problem. It is the role of an employee to turn a negative situation into a positive. If your efforts still fail, notify your supervisor as a final option. Choose examples which are relevant to the job you are applying for. If you are applying for a project-based position, give an example of how you resolved a problem with a work or academic project. Make sure the problem is unique. If you have a problem, simply calling someone else to solve it is not impressive. The best answers will show tailored solutions to tasks that may seem mundane. Make sure the problem is simple. If you have switched from a legal career to an engineering career and your problem is legal in nature, ensure your problem is easy to understand and explain it to your interviewer without using jargon. Generalise your answers with responses such as ‘you consider yourself to be a great problem solver’ or ‘you regularly solve problems’. You need to demonstrate how you solve problems effectively. No matter how interesting the story that you have to tell is, don’t spend too much time providing too much detail, because the recruiter will soon get bored. Keep your answer short and to the point. During your written application and at interview, employers will expect you to evidence your problem solving skills. In your written application you should demonstrate them via relevant keywords, statements and achievements. If you solved a problem and it had a positive impact on the business - such as improved customer service standards or resource savings - say so on your CV. If you are invited to an interview try to use the STAR technique to structure your answers. This technique focuses your responses on a Situation, Task, Action and Result. Following this process will help your answers to be focused, concise and strong. Where problem solving is a main element of your role, an employer may incorporate a relevant psychometric test and/or an activity to carefully assess your problem solving skills.